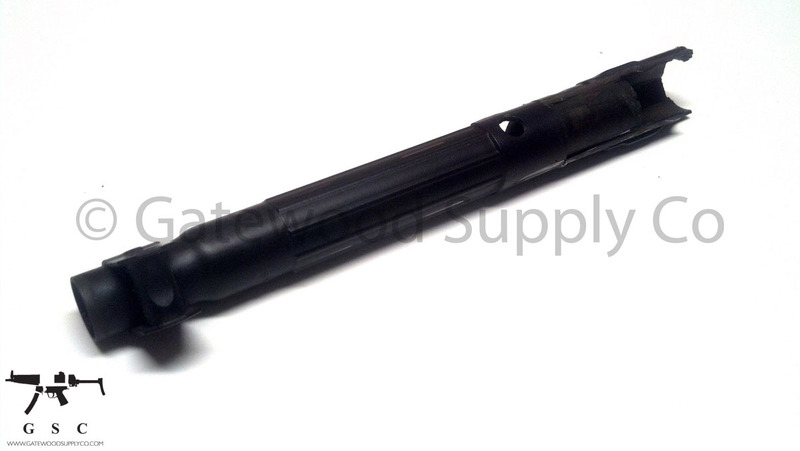 This listing is for a Factory German Heckler & Koch HK MP5 9mm standard cocking tube. These units may have some paint wear because they come from police trade-in kits. This is a factory correct part for an authentic build or repair and it includes a hanger for the handguard push pin. This tube is designed for use with the ball detent cocking support and standard type cocking handles. This unit will not function with the F Type cocking handle and cocking support.